Passion for the west- the Rockies, the wildlife and the Native Americans is what inspires the watercolor paintings of Tracy Rose Moyers. The paintings reflect the spiritual connections with nature and the wildlife. Concentrating on the eyes, reflecting the spirit and personality of the animals is her focus. Also painting pet and people portraits on commission for clients. Born in Wisconsin but growing up in the Shenandoah Valley of Virginia, Tracy Rose Moyers’ interest in art started in childhood. Her father would bring markers and colored pencils to church to hand to her to keep her busy and quiet while in the church service, when she was a very young child. As a pre-teen, her art teacher recognized her natural talent and encouraged her. That was when Tracy decided when she grew up she wanted to be a professional artist. So to pursue that dream she participated in the Art Instruction School’s “Draw Me” contest and won the opportunity to attend the “Basic in Art” classes. Her love for the west was realized also as a young child, when in elementary school, a couple would come once a year and show their home movies of their trips to the west. Tracy found herself mesmerized by the movies and dreamed of one day moving west. She got the chance to visit the west when in high school she participated in youth mission trips to the Navajo Indian Reservation in Arizona teaching in Vacation Bible schools with the Navajo children. That experience not only deepened her love for the west but also for the Native American culture and its people. Her chance to live in the west happened when she got accepted into and attended the Rocky Mountain School of Art (currently Rocky Mountain College of Art and Design) in Denver Colorado. Tracy started her professional art career as a freelance artist straight out of graduation from Rocky Mountain School of Art with a degree in Commercial Art: Illustration and Graphics. Moving back to Virginia, she started doing hand lettered signs, logo designs, and illustrations for businesses. She also was the courtroom artist for the local television news station in Harrisonburg Virginia, WHSV-TV3 and also WSET-TV13 Lynchburg and WWBT-TV12 in Richmond. During that time she married her first husband and had two sons. Once having her children, she saw the opportunity to switch her focus to the fine art of watercolor painting. She began the process by participation in outdoor art shows, Native American pow wows showing her Native American theme paintings and showing in local galleries. Again, she got the chance to go west, this time to Montana, to go on a women’s only trip with Blackfeet women, staying in a teepee and participating in a Blackfeet sweat lodge ceremony. This experience was truly a life-changing experience and re-affirmed her love for the west and desire to once again move west, this time to Montana. Several years later her life started to take another turn. A year after her divorce from her first husband, Tracy’s old high school boyfriend, who also happened to be divorced, walked into her gallery she was operating called “Tracy’s Studio in the Woods Gallery” in New Market Virginia. He had earlier that day ran into Tracy’s sister who told him that Tracy was divorced. He asked Tracy out and in a short time, the old spark between them got re-ignited and they married. Combining her two sons with his two sons from his first marriage. Once the kids were grown and out on their own, Tracy and her husband Dale, made the much anticipated move to Montana that was Tracy’s dream for over a decade. The move happened in June of 2014. The move that made it possible for Tracy to live among the landscape and atmosphere that inspires her paintings. Tracy’s watercolors have been described as American Realism. To quote Xanadu Gallery’s owner, Jason Horejs- “Your landscapes and animals all convey a sense of what I would describe as artistic patriotism. I’m not sure if it’s what you are explicitly trying to create, but I get a sense of ‘this is what makes our country great’ in each image.” Her paintings can be seen on her website- www.tracyrosemoyers.comand www.etsy.com/shop/WildernessSpiritart and at Xanadu Gallery’s website- www.xanadugallery.com/2013/Artists/ArtistPage.php?ArtistID=2724and also at tracyrosemoyers.fineartamerica.com. She’s been represented by Agora Gallery in New York City, John L. Clarke Western Art Gallery in East Glacier Park Montana, John Sevier Gallery in New Market Virginia, Sycamore House Gallery in Harrisonburg, Virginia; and Oasis Gallery in Harrisonburg Virginia. As well as owning and operating “Tracy’s Studio in the Woods Gallery” in New Market Virginia. Memberships include a signature membership with Montana Watercolor Society and associate membership with Watercolor West. Tracy has been in several group exhibitions in New York City, as well as numerous national and international juried exhibitions throughout the United States. 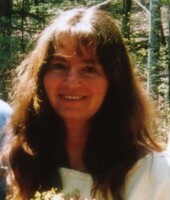 Her work was published in the book, New Art International by Book Art Press of Woodstock, New York as well as several articles in newspapers and magazines. Tracy was selected to the Cambridge Who’s Who of Executives, Professionals and Entrepreneurs. Being a professional artist for over 30 years, her artworks can be found in several corporate and numerous private collections throughout the United States, Australia, England, Germany, Israel, Ireland and Sweden.